As the nights get darker sooner, you find yourself having to walk home from work or school in the dark. Worse still, having to walk your dog somewhere where they can run around means trying to see where they are and make sure you don’t step in anything unpleasant. Well, fear not. I have found some amazingly powerful LED torches that fit into your pocket at a very reasonable price. High power LED torches are fantastic inventions. You can now go out walking the dog or come home from school or work in the dark and have the power to shine a torch so bright that it looks like daylight. At 200 lumens, the LED Lenser P7 and LED Lenser T7 from Amazon.co.uk are some of the best high power pocket torches that you can buy. As we move into Autumn and Winter, coming home in the dark can be a real bind. I am not particularly fussed about walking my dog across woods and fields in the dark, but there are times when you need a little bit more light on the situation. 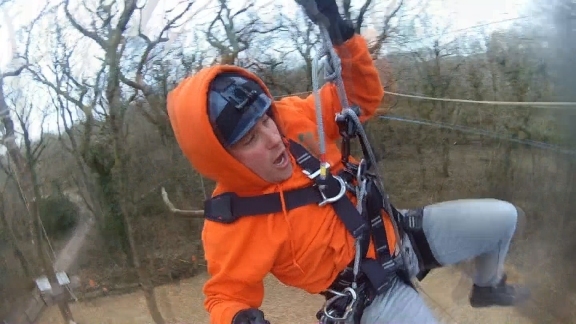 Catching the unexpected tree branch or bramble around the face is something best avoided. As I am always out and about walking the dog in all weathers, I began to get a bit fed up of not being able to see where I was going due to either a crap beam on a pocket torch, or carrying a 6 D cell Maglite that is huge. You can’t see where you are going. Also, you can’t see where your dog has gone sniffing. You can’t see who may be up ahead. It is very useful to have that peace of mind of having the best LED torch small enough to fit into a pocket or bag that actually provides enough light to see at a distance of over 100m. I spend quite a bit of time looking at pocket torches before finding the best one for me. A lot of LED torches use button batteries. The torches are great, but replacing the batteries is expensive. I wanted a small torch with a powerful adjustable beam (spotlight to floodlight) that was water resistant, durable and used AAA batteries. After looking around at pocket torches for quite a while, I bought myself a LED Lenser P7. The P7 LED torch shines a good 200m on new batteries. The limitation tends to be moisture in the air causing the beam to reflect. 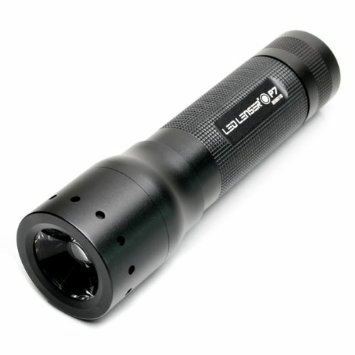 Unlike some other torches such as Maglites, the LED Lenser has a much more intense beam. The LED Lenser P7 and T7 have a handy quick focussing head. All you have to do is slide the LED torch head up and it goes from floodlight to spotlight. It turns on using a push button on the end of the LED torch. Once for high beam, again for low beam, and again to turn the LED torch off. Another great feature is that it gives you up to 130 hours of light from 4 AAA batteries that come with the torch. Some other torches need button batteries. You will find that these type of LED torch soon use up the batteries. Having a LED torch that uses AAA batteries is very convenient when you need to replace the batteries. Also, having a LED torch that has 4 AAA batteries gives you plenty of hours of light. The P7 LED Lenser torch comes with a pouch that you can use to clip onto a bag or go on your belt. It also has a wrist strap. I wouldn’t be without my P7 LED torch. Walking the dog at night is much easier. Even though my dog has a high visibility flashing dog collar, you often lose track of him at a distance in the dark. I can see him quite easily with the LED Lenser P7, and it is also very useful to make sure I don’t fall over in the dark, especially when you want to see what you are walking in and if you need to clean up after your dog. You can see exactly where it has gone from a long way away. I also bought the LED Lenser bike mount. This means that I can use the LED lenser torch on my mountain bike at night. It is good enough that you can cycle off road in the dark and see far enough ahead to avoid dangerous obstacles and holes. I haven’t used any of my Maglites since. Another great LED torch is the Surefire. These LED torches are made with just as good quality but are more expensive. Which LED torch to buy? I am still using my LED Lenser P7 four years on as the only torch I use. Dog walking, camping, working at night, it is the torch to have. I also use it on my mountain bike for cycling off road in the dark. 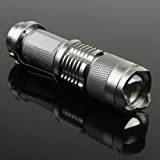 In the US, you can buy LED Lenser pocket torch from Amazon.com . You can now get an even smaller LED pocket torch. The Mini 300 Lumen CREE LED Torch from Amazon is waterproof, and uses only one AA battery. It is a best seller on Amazon, and has 5 star reviews from nearly 500 people. If you read some of the reviews though, using a 1.5v AA battery will last only two hours. Using the correct 3.7v battery which costs more than the torch itself will be much brighter and last longer. A great stocking filler, but I would rather have a pocket torch that lasted for a long time. 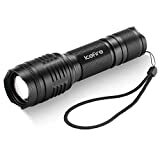 If the LED Lenser is a bit too pricy for you, I have also bought the ICEFIRE T50 LED Torch Zoomable Flashlight 2000 IP67 Waterproof CREE XML T6 Tactical Handheld Flashlights for Camping Hiking Auto Emergencies Home Repair for only £8.95 from Amazon. The quality is great, it only takes three AAA batteries, and the 2000 Lumen beam is brilliant. It has an adjustable focus just like the LED Lenser. The only difference is that I would say that with a lot of rough use, the LED Lenser would definitely last longer. I have bought the Ever Cree LED Torch as a gift for friends, and they always keep it in their handbags or coat pocket. Ideal for those moments in the cinema or concert when you drop stuff on the floor in the dark and can’t find it. Cheap but bright 300 Lumen torch, Mini 300 Lumen CREE Q5 Zoomable and Focus Adjustable LED Flashlight Torch With Waterproof Design (Silver) .